Do you know the different types of fibromyalgia? Which one do you suffer with? There are two primary (parent) types of fibromyalgia that have been discovered. The first is called rheumatic conditions and the second is called myofascial pain syndrome. From these two types of fibromyalgia, everything else is a derivative. Rheumatic conditions are those characterized by inflammation and reduced function of connecting or supporting structures. This would include things such as all the joints, tendons, ligaments, bones and muscles throughout the body. Symptoms would generally include overall or localized body stiffness, pain and swelling. Some of the more common rheumatic conditions that most people would recognize would include osteoporosis, rheumatoid arthritis, lupus, gout and vasculitis. Myofascial pain syndrome is characterized as a chronic form of muscle pain. Myofascial pain syndrome will center itself around sensitive points in your muscles all over your body and are called trigger points. These trigger points in your muscles can be painful when touched and the pain can spread throughout the affected muscle. Fibromyalgia is generally treated as one singular disease where these two seperate conditions are observed. The rheumatic condition, the most ocommon of the two conditions, can quite often become quite severe and affect a person quite severely. In some cases, this condition may potentially lead to other diagnosed conditions like rheumatoid arthritis, hypothyroidism, lupus, HIV and in very rare cases, even cancer. In the most common form, fibromyalgia is a common type of rheumatologic disease, which is found mostly in women rather than in men. Secondary or reactive fibromyalgia: this is thought to occur as a result of the onset of another known disease or injury. Secondary fibromyalgia has been thought to be triggered by other conditions such as rheumatoid arthritis, lupus, hypothyroidism, HIV or cancer. Secondary fibro has also been thought to be triggered by some additional trauma to the body, such as after a car accident or work injury. Secondary fibromyalgia is sometimes referred to as post-traumatic fibromyalgia because some specialists think that this form may remain confined to the injury site. The doctors refer to this as “regional fibromyalgia”. 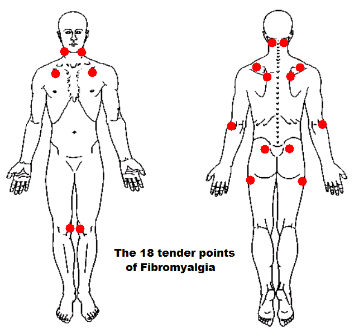 It may be present in patients who experience pain at fewer than 11 of 18 positive tender points. Which of these types of fibromyalgia do you suffer from? Leave a few comments below and perhaps others can relate or benefit from your insight or experience.